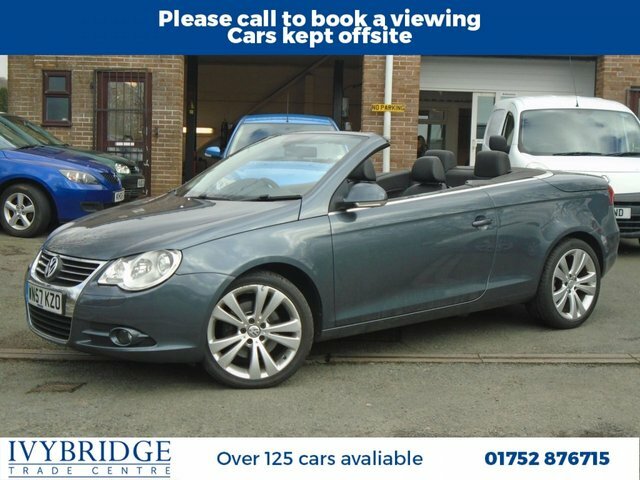 If you dream of charging down an open road on a sunny day with the wind in your hair then one of the used Volkswagen Eos models for sale in Ivybridge could be just the car for you. This two-door convertible makes the most of its sleek and sporty appearance, and when equipped with Volkswagen's turbocharged powertrain, it offers an incredibly engaging ride. You can arrange to test drive one of the used Eos models listed here on the website simply by contacting a member of the team at Ivybridge Trade Centre today. Rest assured we'll go further to help you track down the best car for your needs.